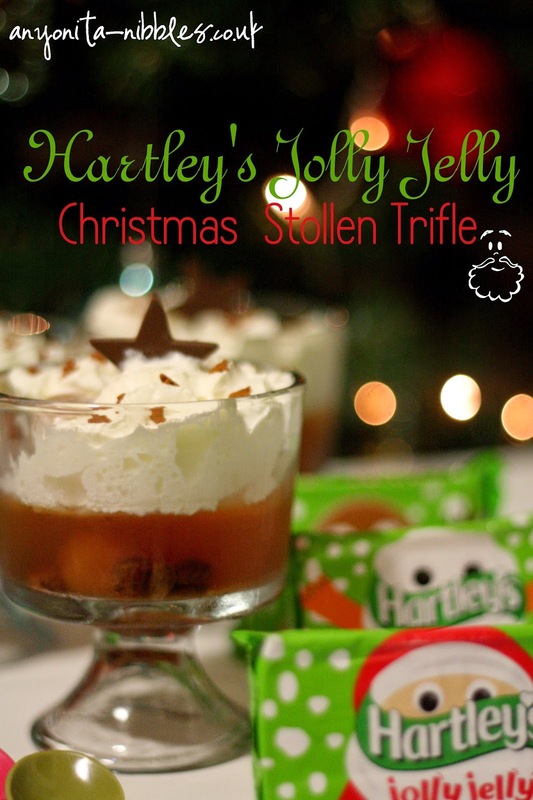 This recipe was born out of a challenge set by Hartleys: to suspend anything Christmassy in some of their fantastic jelly! 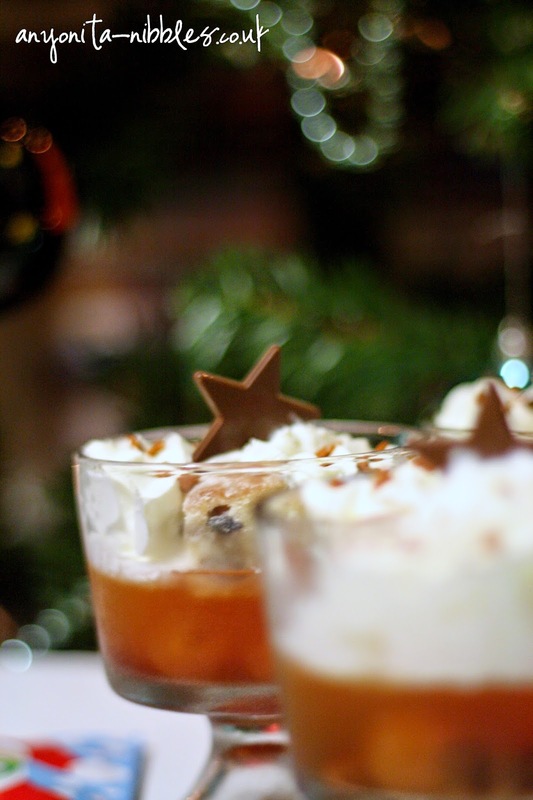 But as as I was thinking about Christmassy ingredients to use, I couldn't help but be reminded of a trifle and wanted to revamp the traditional layered dessert. The best thing about trifles is there are no hard and fast rules and my version is no exception to the rule. If you prefer strawberry jelly, then opt for this instead of the orange. If you're not too keen on the stollen, then swap it for something else: gingerbread would work a treat and still impart that Christmassy vibe. 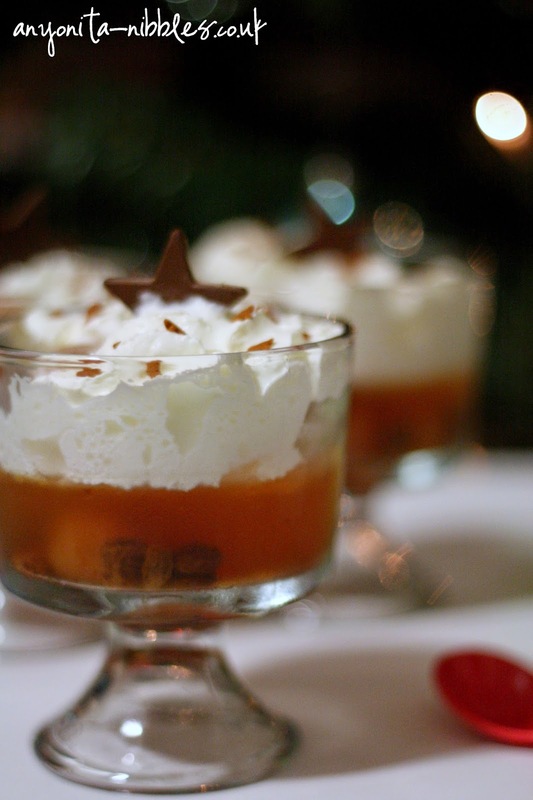 If boozy desserts aren't your thing, skip the alcohol altogether! Or if you're just not a fan of rum, then swap it for your favourite tipple. Vodka, whiskey and even Kirsch would all work well. One thing I won't give you liberty to change is the whipped cream! You've got to have it! Get in the kitchen with your kids and have fun creating your family's take on a classic trifle. 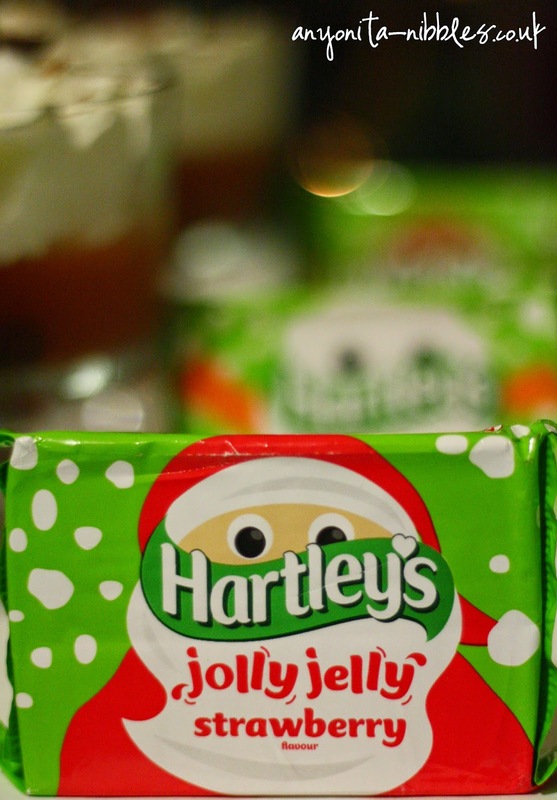 To get you started, make sure you pick up a packet or two of Hartley's Jelly from your local shop and then let the Christmas creativity begin! Soak raisins in just a bit of rum or other tipple to cover them. Leave to absorb while you get on with the jelly. 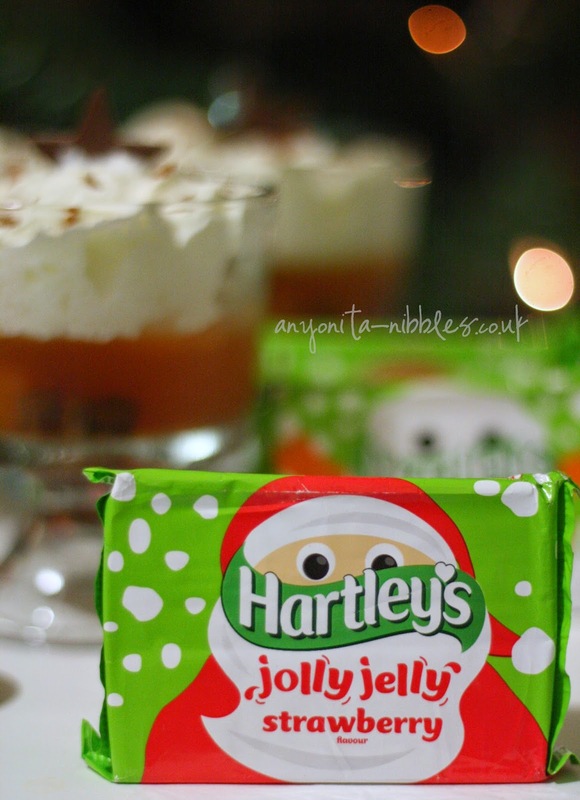 Make up one packet of Hartley's Festive Jolly Jelly according to the easy-to-follow instructions. Pop the raisins and a few maraschino cherries into the bottom of trifle dish.Make sure you mark the trifles that don't contain any boozy raisins. Set the jelly in the fridge. Depending on how cold your fridge is and the residual alcohol in your jelly, this can take anywhere from 45 minutes to 2 hours. Layer squares of stollen on top of the set jelly followed by lashings of squirty cream. 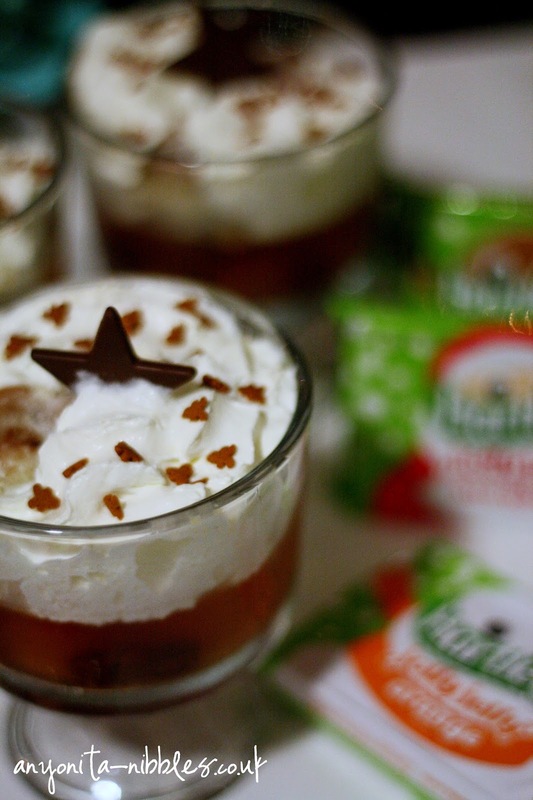 Scatter over gingerbread men sprinkles and tuck a chocolate star into the cream of each trifle.